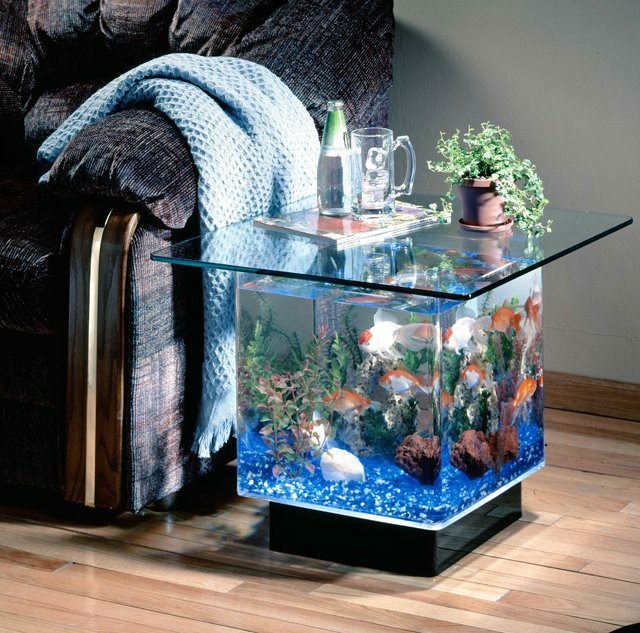 Give your boring side tables a glimpse of the aquatic world by replacing them with the Aqua End Table Aquarium. This will not only transform the entire look of your bedroom but will also be a simple side table you use everyday. The table rests on a black acrylic pedestal which is illuminated from underneath a bed of blue glass gravel. Decorate it in whatever way you please and don’t forget to add your favorite fish too. The solid tempered glass top only comes as an icing on the cake that makes the aquarium sturdy enough to be used as a side table. The beauty of the blue world can now reside on your bedroom in a stunning way.